Hound dogs need a paw print sticker! 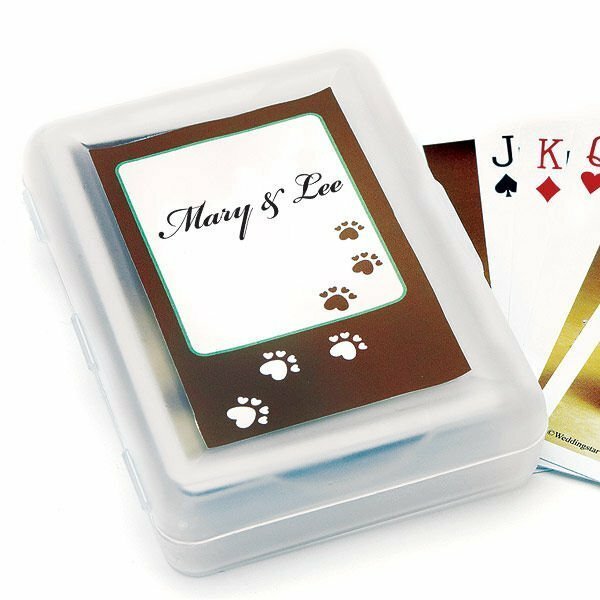 Designed for use with our wedding hounds playing cards (item 6005), these stickers have a trail of paw prints created from hearts along with your names and wedding date. The stickers are the perfect finishing touch for the charming set of playing cards that features two basset hounds in adorable bride and groom attire. Sold in sets of 12 with a minimum order of 3 sets.